Did you know!? Maryland’s first brewery was established in the Annapolis area in 1703. 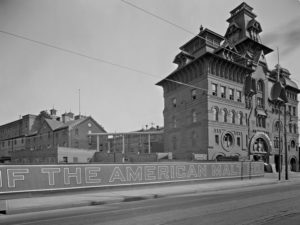 Preservation Maryland teamed up with University of Maryland graduate student, Emma Schratz to share a brief history of Maryland’s brewing history for the Maryland Humanities podcast. Maryland State Parks has created their Es Mi Parque program to better connect a large and growing number of Latino visitors to the cultural, recreational and historic resources of Maryland. In partnership, Preservation Maryland will produce a series of brief park histories in English and Spanish, including Catoctin Furnace at Cunningham Falls State Park and the following history of Patapsco Valley State Park. Es Mi Parque event at Sandy Point State Park, 2017. Visitors of Hispanic descent are one of the fastest growing and biggest user groups to Maryland’s state parks. 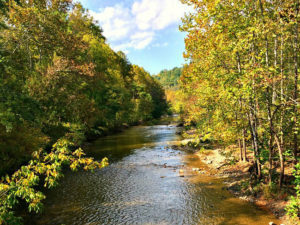 There is now a staffed agency wide program called Es Mi Parque – This is My Park – to better connect the Maryland State Parks to the growing user group. Los visitantes de ascendencia hispana son uno de los grupos de usuarios más grandes y de crecimiento más rápido en los parques estatales de Maryland. Ahora hay un programa proveído por personal de toda la agencia llamado Es Mi Parque para conectar mejor los parques estatales de Maryland a este creciente grupo de usuarios. 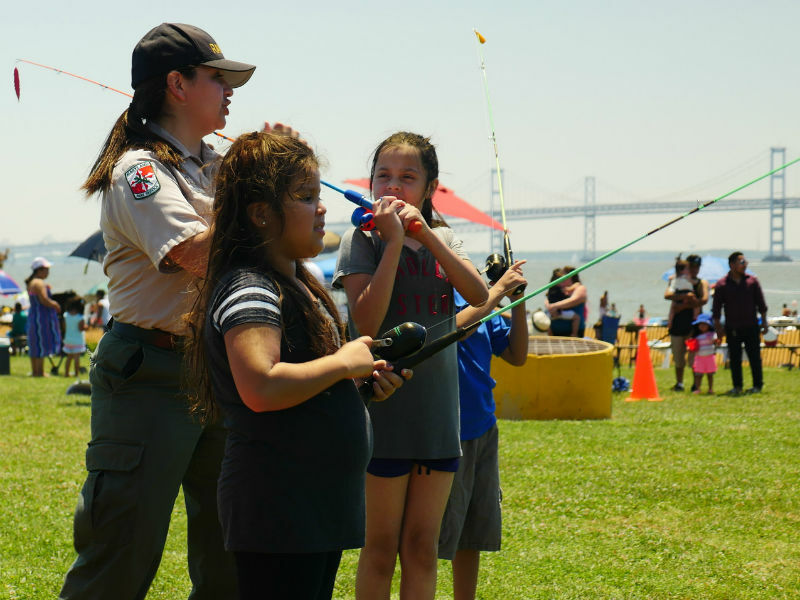 Started in 2016, the Es Mi Parque program posted Spanish-speaking Rangers at some of the most utilized public parks and also hosted educational programming and outreach activities. The program is now staffed with a full-time Multicultural Outreach Coordinator supervised by a new Agency Diversity & Inclusion Coordinator for the entire Department of Natural Resources. This summer, the program will host several family-friendly outreach hubs at some of the most used park by Hispanic visitors, including: Cunningham Falls State Park in Frederick County, Greenbrier State Park in Washington County, Patapsco Valley State Park in Howard County, Point Lookout State Park in St. Mary’s County, Rocky Gap State Park in Allegany County and Sandy Point State Park in Anne Arundel County. These parks have greatly appeal to the Hispanic community for their family-friendly environments, access to water and large day-use facilities. More than two-thirds of summer visitors to these six parks are of Hispanic descent. To learn more, visit the Es Mi Parque program page on the Maryland Department of Natural Resources website or contact Michelle Ramirez, Multicultural Outreach Coordinator, Maryland Department of Natural Resources, or call 410-260-8085. Empezando en el 2016, el programa Es Mi Parque puso guardabosques y voluntarios que hablan español en algunos de los parques públicos más utilizados para acoger programación educativa ambiental y actividades de divulgación para construir mejores relaciones entre los visitantes y el personal. Algunos ejemplos incluyen una mascota que enseña sobre seguridad en el agua, lecciones de pesca, y juegos sobre protección de la cuenca. Este verano, el programa acogerá varios eventos familiares en algunos de los parques más usados por visitantes hispanos, incluyendo: Cunningham Falls State Park en el condado de Frederick, Greenbrier State Park en el condado de Washington, Patapsco Valley State Park en el condado de Howard, Point Lookout State Park en el condado de St. Mary’s, Rocky Gap State Park en el condado de Allegany, y Sandy Point State Park en el condado de Anne Arundel. Estos parques han atraído enormemente a la comunidad hispana por sus ambientes familiares, acceso al agua, e instalaciones grandes de uso del día. Más que dos tercios de los visitantes del verano a estos seis parques tienen ascendencia hispana. Para aprender más, visita la página del programa Es Mi Parque en el sitio web de Maryland Department of Natural Resources o contacta Michelle Ramirez, Coordinadora de Divulgación Multicultural, Maryland Department of Natural Resources, o llama 410-260-8085. This post was translated into Spanish by Katherine Longabaugh, one of Preservation Maryland’s Waxter Interns. Kate’s work with Preservation Maryland has focused on cataloging and archiving the organization’s large digital photography collection. She is originally from Seattle and is an undergraduate student at Goucher College studying Spanish, Historic Preservation, and Environmental Studies. Learn more about Kate and our intern program here: presmd.org/waxter. 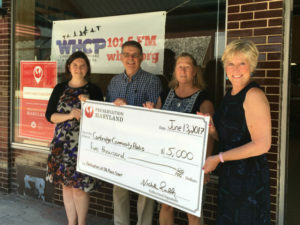 A legacy gift from William D. Waxter, III established the Waxter Memorial Internship to help Preservation Maryland support the next generation in historic preservation.